Discussion in 'iPhone and iPad Games' started by Eli, Mar 2, 2016. Lead your team of mighty heroes through forbidden dungeons crawling with nasty creatures! 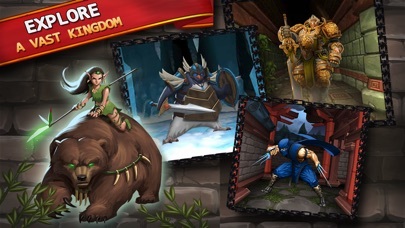 Collect over 400 units, evolve them into fierce fighters and come up with clever battle strategies. Roam the depths of the world to save it from lurking evil, grabbing serious loot along the way in this ground-breaking first-person RPG. But watch your steps in the dungeons! For you will forever rot underground should your torch run out before youve managed to find the exit. Do you feel brave enough to embark on a dramatic 3D adventure? Then dont hesitate, download Dungeon Monsters now! 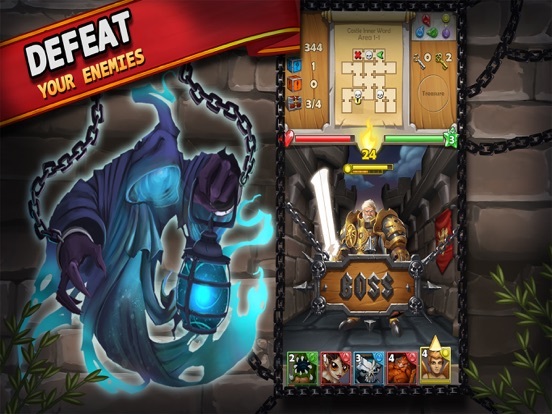 Get Dungeon Monsters now for FREE to experience a cutting edge first person adventure. 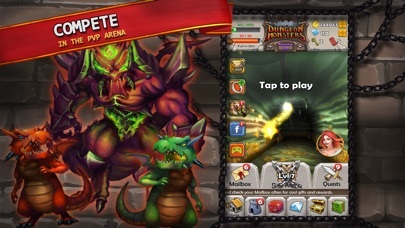 Note  Dungeon Monsters is completely free to play, but some game items can also be purchased for real money. If you don't want to use this feature, please disable In-App Purchases in your device's settings. 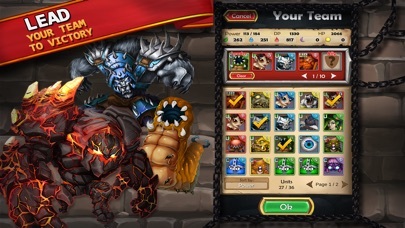 This one has been in soft launch for awhile as a paid app if I'm not mistaken. It's like Dungeon Flicker with some variants. I was in beta for a while for this and the game shaped up to be a really good party-based first-person dungeon crawler mixed with monster collection. The rate at which freebies are given are really good, but i felt i could only manage one game with a stamina system and had to let go of this. I also beta tested this and it's very fun but I just don't do f2p there are so many awesome premium games without energy timers/stamina systems I really don't have tim for this sort of thing. If anyone's trying this I guess I'll put up my ally code. V722E-KRH4N-KGQ8G. I like this game. 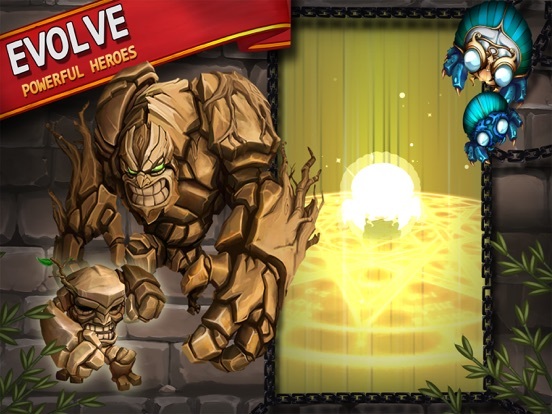 Graphics are crisp on my iphone 6, gameplay is refreshing and most important of all, evolution of monsters is interesting which not only gives you better stats but different skills as well. I find the development of your monsters to be a key part of the game and it requires planning. Love the game. It's basically the child of Grimrock and Puzzle & Dragons, both awesome games. The only criticism I have is that it's too much like both of them with very little distinguishing outside the two influences. My major complaint is that I have so many issues connecting. Maybe it's because I am playing in a country they are currently region blocking but whatever it is, is preventing me from playing. I'll keep trying but if it keeps up for much longer I'll need to delete to make room for other games. This is a fun and addicting game once you get into it. 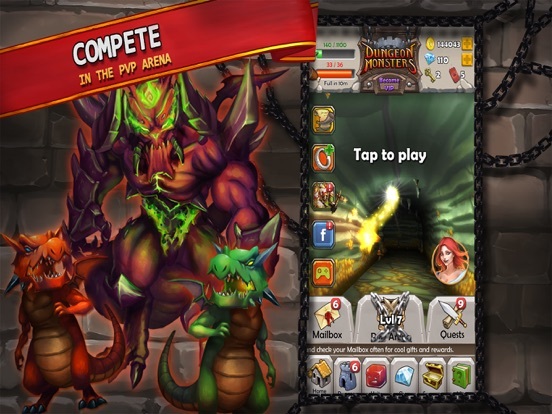 Combines dungeon first-person dungeon crawling with monsters collecting/leveling/evolution. Has anyone figured out how to start this game over if you don't like your first premium pull like you can on P&D? I've uninstalled and the redone loaded and it somehow remembers my account. Oh man. Only need 3 more people to add my code to get the final award for 20 adds. I get a Legendary. Heres my Ally gift code : V722E-KRH4N-KGQ8G. Self serving, I know but do it for the good Karma lol!